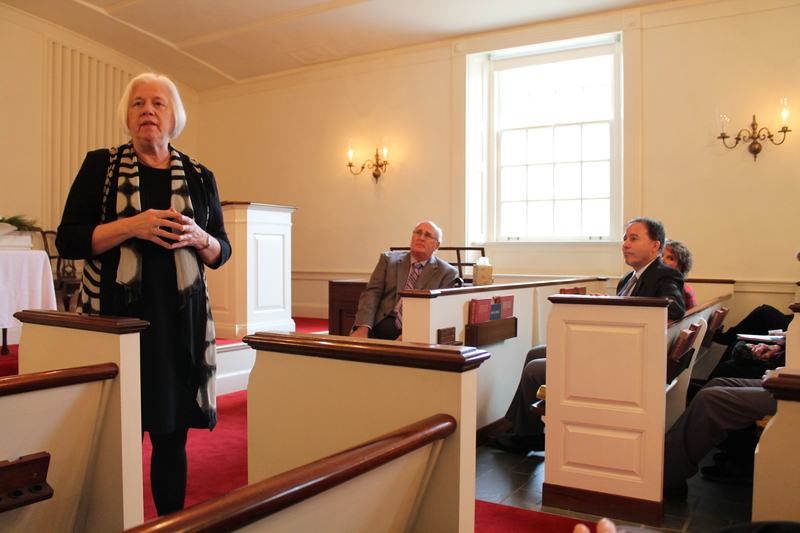 A worship service on Sunday, Dec. 11, at First Presbyterian Church of Bethlehem, PA, featured a sermon by PCUSA Director of Constitutional Interpretation Joyce Lieberman. A question-and-answer session followed the service to allow congregants the opportunity to ask Joyce questions about the church’s current situation between the PCUSA and ECO congregations that worship there and that are involved in a court case over who rightfully owns the property. Synod Communications Coordinator Mike Givler had the privilege of writing a story on the morning’s events for the PCUSA News Service. Synod Transitional Executive Susan Faye Wonderland was also on hand and delivered the Peace Light for the worship service. To read the story in the PCUSA News, click here.